The squash portion of the 2013 NatWest Island Games is underway, with Bermuda’s players claiming two bronze medals. 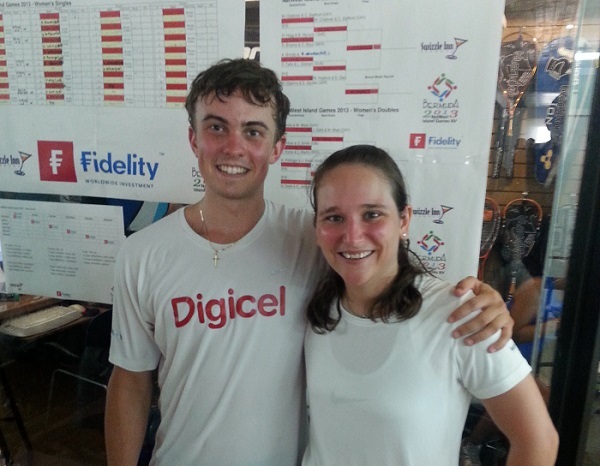 Both Micah Frankin and Laura Robinson [pictured below] won bronze medals in the individual squash event. A husband and wife from the island of Jersey won the gold medals yesterday, becoming what is reported to be the first couple to take gold in the same event in Island Games history. In a final that saw him pitted against a fellow countryman, Jersey’s Nick Taylor beat Michael Hopkins in straight sets while his wife, Sarah Taylor, performed a similar feat against Joan Smith of Shetland Islands.